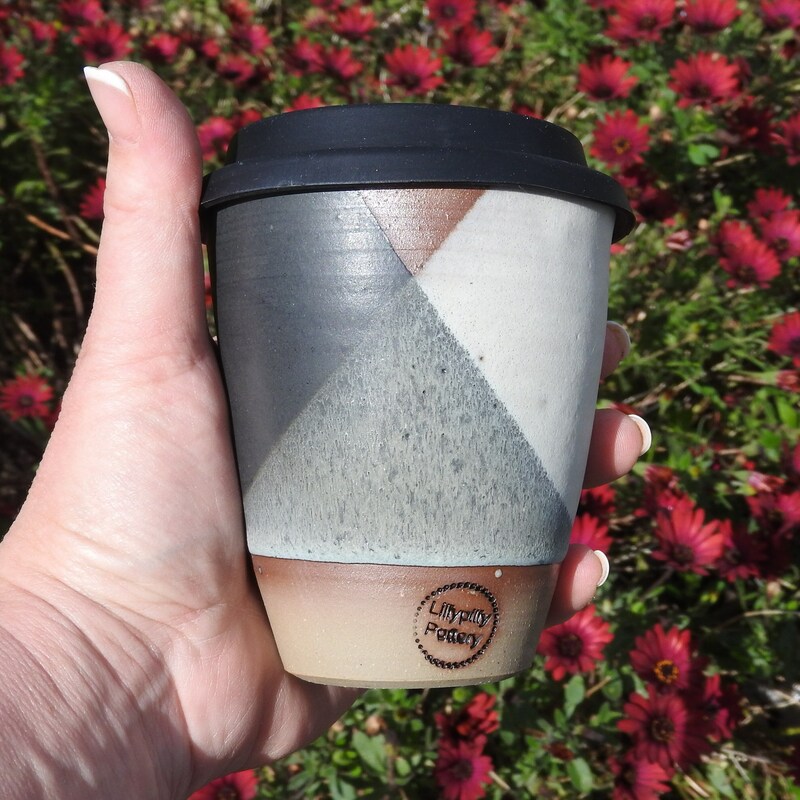 Hand Thrown and glazed stoneware tumbler/ Keep Cup with either silicone or bamboo lid. All 12oz cups also come with a silicone sleeve. This tumbler was handmade by Jo in her studio at the foothills of the Dandenong Ranges, Victoria. It's wonderful to drink from and suitable for anything from water to wine, coffee to chai lattes or used to serve your favourite dessert such as an individual self saucing pudding. Please stipulate your lid preference in the notes in regard to either bamboo, black, or white. This item is 100% food safe and oven, microwave and dishwasher friendly. The tumbler is gorgeous and so well made! Perfect and love the wooden lid.